Jason Tatge, Farmobile CEO, shows us the latest Farmobile PUC for the 2018 growing season, at Commodity Classic 2017 in Decatur, IL. Busy times these days out in Leawood, KS, for ag data startup Farmobile, as they continue to – pardon the pro football prospect evaluation conjecture – check all the boxes. Tapped well-respected industry vet to help refine future direction of company? Acquired grower-facing industry player to further proprietary platform capabilities and reach? And now, with today’s expansion of the Farmobile data collection ecosystem via the launch of DataEngine as well as an update to the DataStore, the company is drawing nigh to further delivering on its original go-to-market promise: to literally make data pay for farmers. 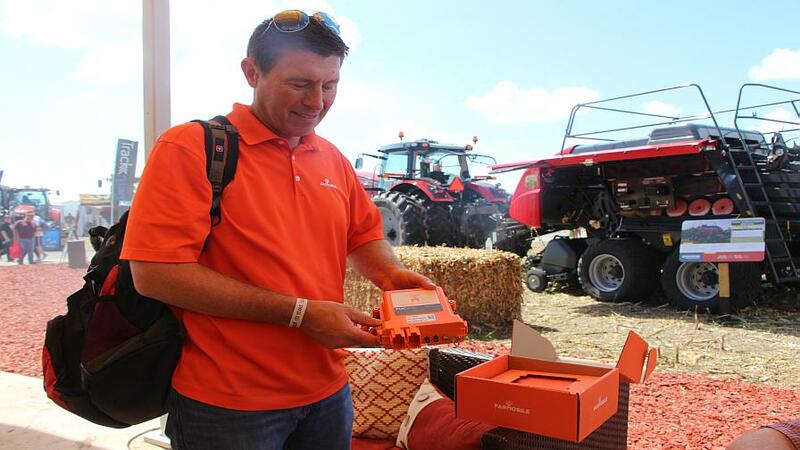 According to CEO and founder Jason Tatge, it’s newest software update, DataEngine “enables farmers to more easily ingest, standardize, view, and share the data” they’ve collected over Farmobiles Passive Uplink Connection (PUC) device. A screenshot of multiple machine harvest real-time view from Farmobile’s new DataEngine. 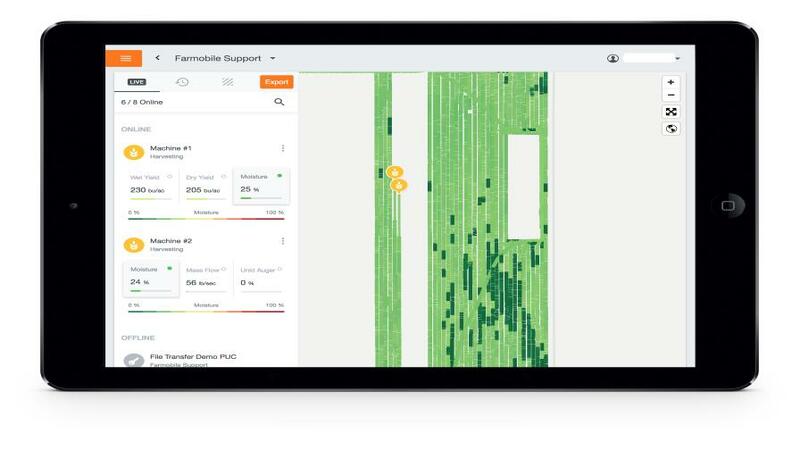 The two hooks that make Farmobile’s DataEngine significant beyond the typical software update announcement is its combination of machine and agronomic data, as well as the ability to visualize both layers together in real-time on the iPad. By collecting and combining machine and agronomic data in the company’s proprietary format, the Electronic Field Record (EFR), Tatge and Co. additionally believe they are taking another step towards a long-standing industry goal: finding and selecting an industry-wide data format standard. “A data standard to me exists when it’s kind of widely adopted by the industry, and we’re putting together I would say right now an organizational pattern that we believe will become a standard by being able to merge data sets that traditionally haven’t been merged together,” he explains. Another issue the Farmobile development team grappled with is the dreaded cellular connectivity in rural areas headache. Sure, there have been plenty of ag data analytics programs around to this point that store and re-send data to the cloud once a connection is reestablished, but when you’re working in a truly real-time environment with data visualization that can get a bit tricky, according to Tatge. “I call it ‘data self-healing’. It’s the ability to reprocess the data once you get additional data points in, and it basically allows this data to kind of self-heal itself over time,” he explains. 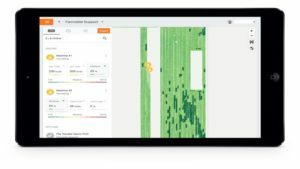 Tatge shares that the new DataEngine capabilities are powered by industry-leading technologies like Amazon’s Web Services (AWS) cloud hosting product and should prove useful for ag service providers with mixed fleets still looking for advanced data visualization capabilities for their grower-customers. Sure, Deere already offers similar real-time visualization capabilities via its MyJohnDeere Operations Center, but it bears noting that product remains only available on Deere machinery. “Deere to my knowledge still doesn’t take in data from Case and many other manufacturers, its only with Deere machines, and as we all know with sub-four dollar corn farmers aren’t doing a lot of new equipment purchases,” Tatge argues. Farmobile Data Store Architecture map. Another little piece of news being dropped by Farmobile today, in conjunction with the ongoing InfoAg show in St. Louis, MO, is yet another step towards the full realization of the companies’ long-stated end goal: to monetize farm data sets, creating another stream of revenue for farmers. 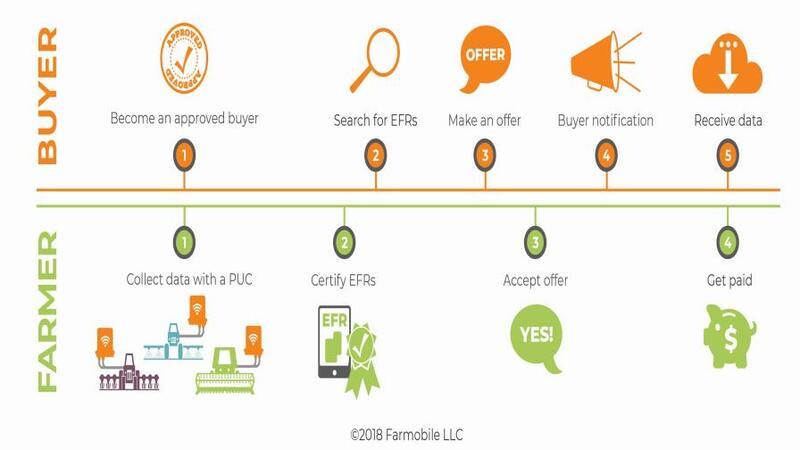 Tatge told PrecisionAg.com that making the data purchasing process more automated and streamlined, both from a buyer as well as Farmobile’s perspective, is another aspect that drove development of the DataStore. “This is something we’re really excited to bring to our market; it’s been a pretty manual process thus far,” Tatge explains. “We have more than a million acres in the store right now for buyers to basically search. 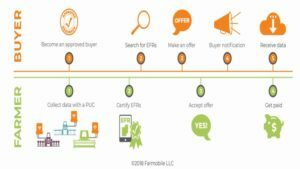 What happened before DataStore is if someone was interested in buying data they would call me and we’d have a conversation on what they are looking for, and then I’d go through the database manually and try to locate the acres that fell within the parameters the buyer was looking for. The company can now also reportedly pull in outside data layers to the DataStore – such as imagery, weather data, soil test data – through various APIs to offer buyers more well-rounded data set offerings than in previous seasons. Tatge says they’ve also beefed up the back-end processing and storage infrastructure of DataStore with blockchain-powered technology from industry giants like AWS and Intel. “We’re partnering with some of the industry giants on this blockchain component because the data that is going into the EFRs in the DataStore, we want some element of transparency on that stuff,” Tatge says. The company encourages those attending InfoAg 2018 this week in St. Louis, MO, to swing by its booth on the trade show floor for more information. 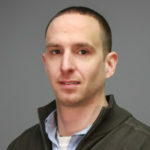 Matthew J. Grassi is the Technology Editor for Greenhouse Grower and American Vegetable Grower, effective May 1, reporting to Richard. Matthew joined Meister Media Worldwide in 2012, starting as an Assistant Editor in the Agribusiness Group before working his way up to his current position as Field Editor for CropLife and Senior Editor for PrecisionAg Professional. Matthew is a licensed drone pilot and an avid and experienced reporter of precision agriculture and other technology developments. See all author stories here.